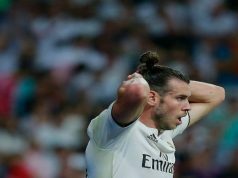 Real Madrid suffered a blow in their attempt to win La Liga as they lost to Athletic Bilbao 1-0 in their visit to San Mames. Aritz Aduriz goal left the door open for Barcelona to take the lead in the league. The Azulgranas will overtake Los Blancos in the table if they manage to beat Rayo Vallecano on Sunday. 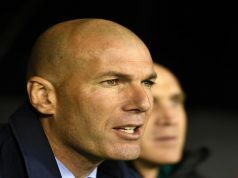 The hosts’ first-half goal put Los Merengues to the sword, and despite dominating possession, Carlo Ancelotti men were unable to turn it into goals. Athletic defended with their lives to earn their fourth win in six games. Real had the first chance to score after ten minutes. Daniel Carvajal turned a pass towards Karim Benzema but the Frenchman couldn’t find the target. In the 26th minute, Aduriz broke the deadlock as Mikel Rico floated a ball into the area. The striker leaped to send a perfect header into the back of the net. 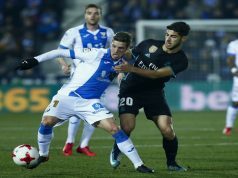 Los Blancos took control of possession after the goal, but Athletic defended with their lines tightly closed and prevented the visitors from threatening Gorka Iraizoz. In the second half, Madrid were more intense and had to early chances to level. Cristiano Ronaldo teed up Benzema to a seemingly inevitable finish almost on the goal line, but Mikel Balenziaga slided in with impeccable timing to deny the Frenchman. A couple of minutes later, Gareth Bale stormed to the byline down the right but the goalkeeper palmed the ball away ahead of Ronaldo. Aduriz could have made it 2-0 as he beat Pepe in the air and sent a powerful header, but the ball hit the woodwork. 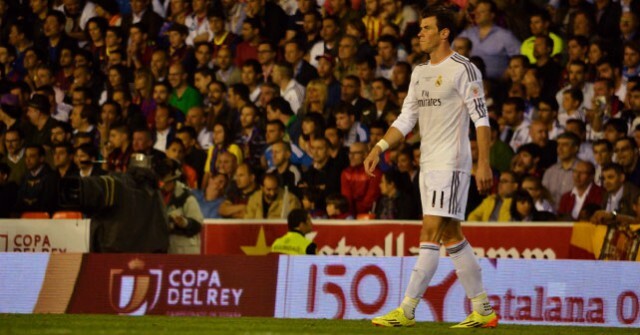 Real desperately attempted to score in the last minutes and Bale was close to a stunning leveller. The Welshman sent an impressive effort from 30 metres that struck the post and Chicharito Hernandez wasted the rebound.